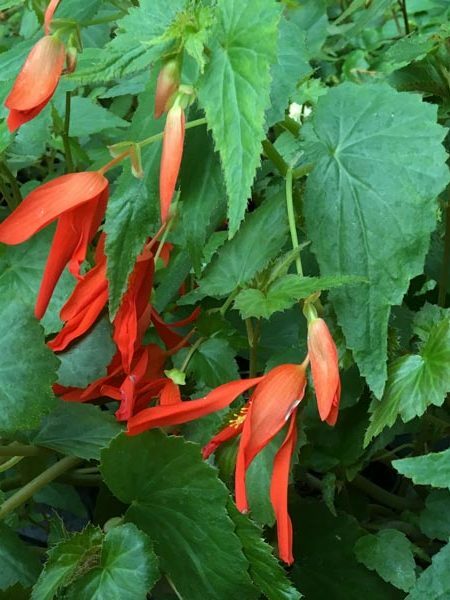 Brightly colored flowers on a semi-trailing habit are excellent for mixed containers or baskets in shade to part sun. Gives a tropical look to any shady corner of the garden. Excellent branching makes Mistral the BEST begonia for hanging baskets! Large, eye-catching flowers mean lots of impulse sales. Great in mixed containers, too. Photo courtesy of Ball Seed.